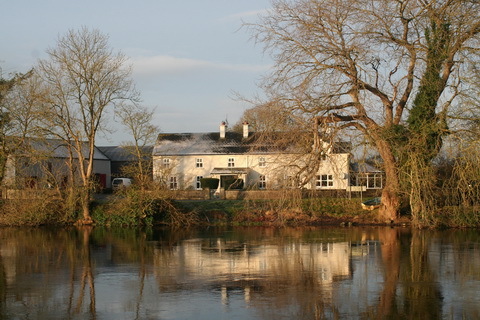 People who read this will hardly believe that such a state of things, as it details, can exist in any portion of the British dominions; and yet, in the year 1842, undoubtedly in Ireland, and in Ireland only, can we find such facts — positive facts. 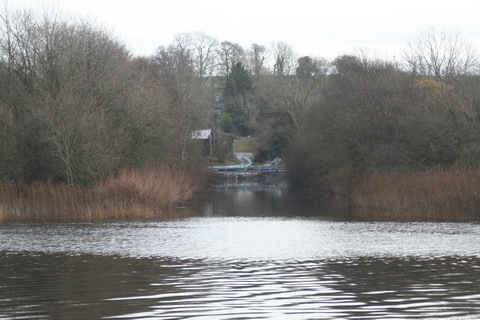 It is still more surprising to find that this extraordinary state of things should exist on a river on which a very considerable export and import trade passes — and yet so it is. 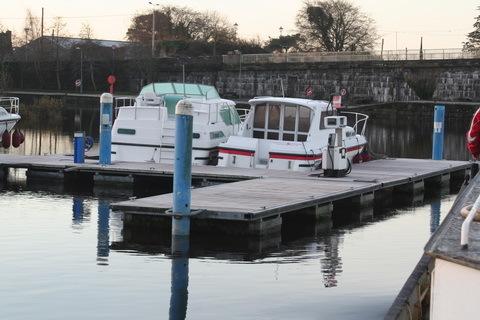 That the boat trade between Clonmel and Waterford is in the hands of so few persons that it is, in truth and fact, a monopoly to all intents and purposes. 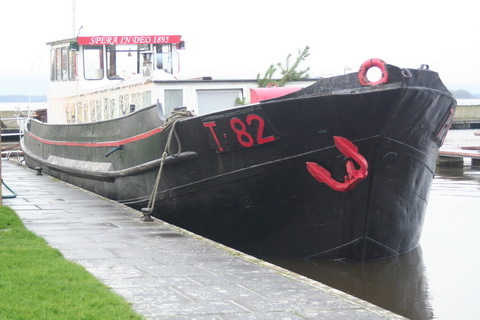 That those corn factors, who export their produce by these boats, are allowed to import coal, iron, timber, groceries, or other goods, at a lower rate of freight than merchants or shopkeepers, who only import those articles, and do not export. 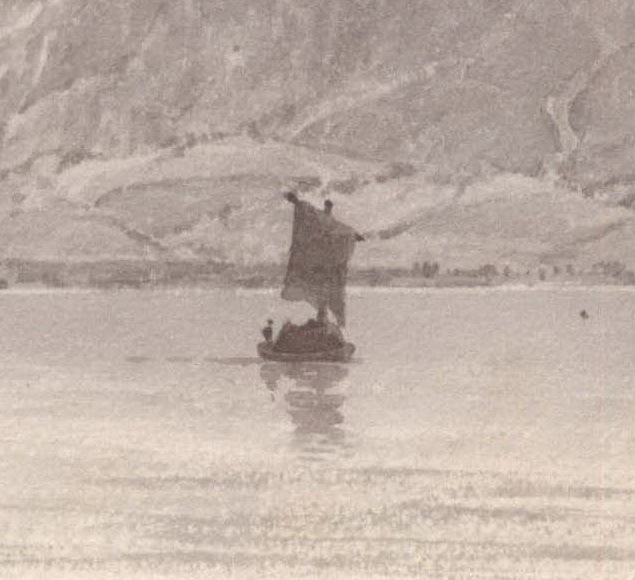 That combination exists amongst the boatmen to such an extent, that they are, in point of fact and truth, the masters of the river, and have in reality succeeded in their “strikes”. 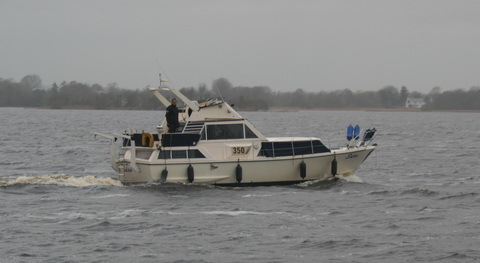 That only a certain fixed number of boats are allowed to ply on the river, and that when a new boat is built, part of an old boat must be worked up into the new one. 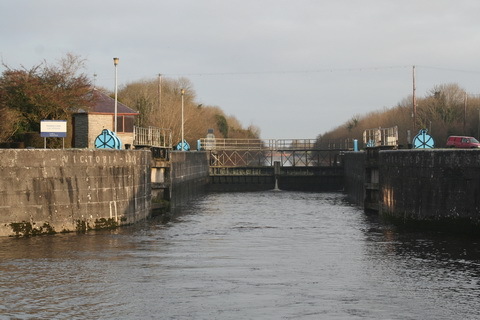 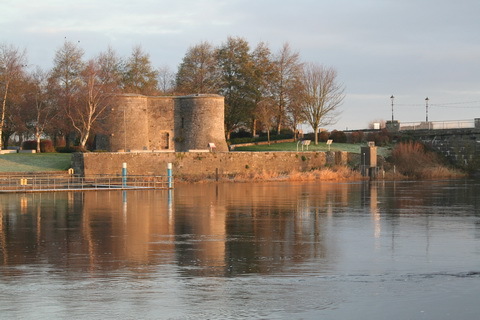 That although great improvements have been effected at Carrick in deepening the river, and thus bringing up vessels to the new quay there, the boatmen of Clonmel and Carrick will not navigate any boats from Clonmel which are to ship their cargoes at Carrick, but they insist and do take such boats on to Waterford. 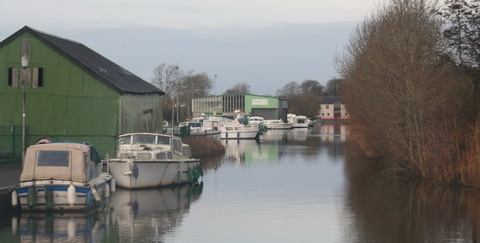 That when the bill for the Limerick and Waterford railway passed, and £100000 was granted in aid — which railway was to pass through Carrick, Clonmel, Caher, and Tipperary — not one merchant in Clonmel took a share. 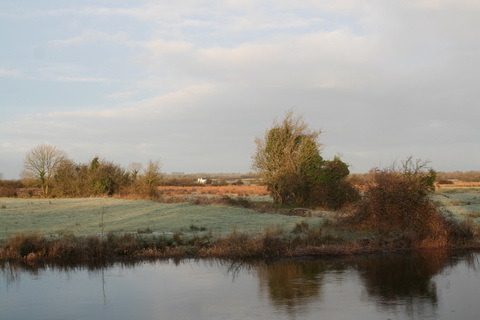 That the exports of Waterford amount to above two millions annually, a considerable proportion of which is the produce of the vally [sic] of the Suir, and descends that river. 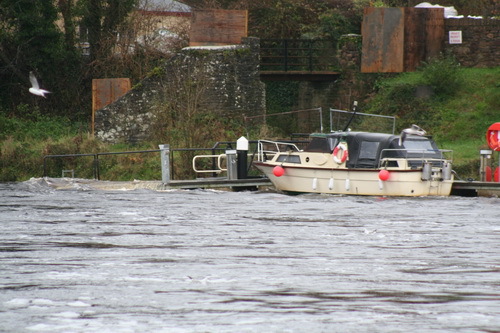 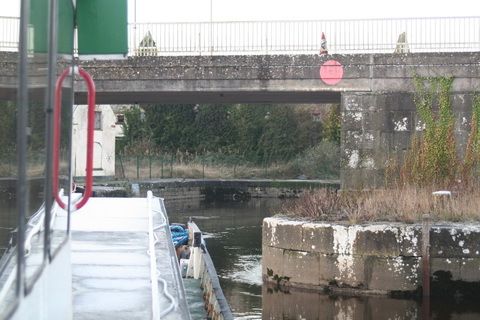 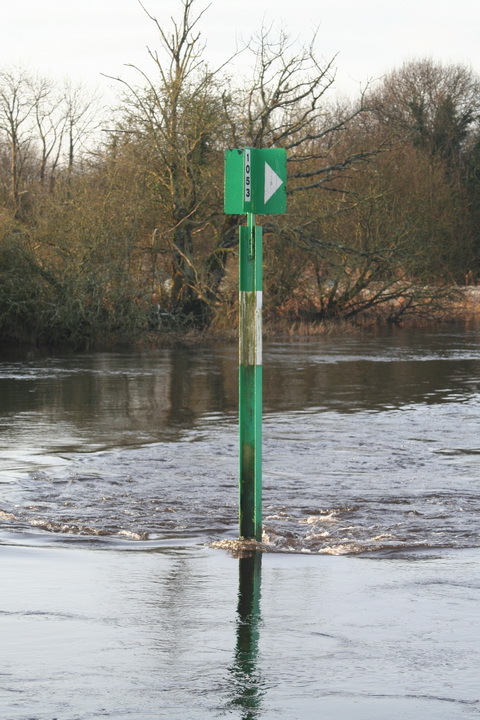 That the state of the river Suir, as a navigation, between Clonmel and Carrick, is the worst in Ireland; that the import trade in these boats is dragged up the river by horses; that great delays take place, to such an extent, that the import trade suffers most considerably, to the detriment of every person in the community. 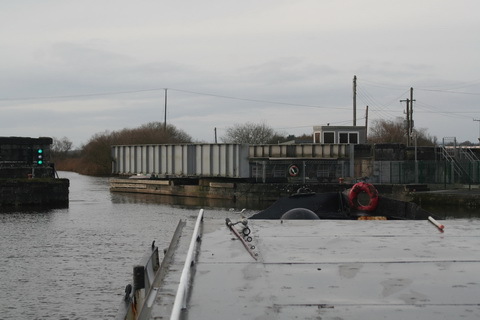 That the expenses of the towing path &c fall upon the county at large. 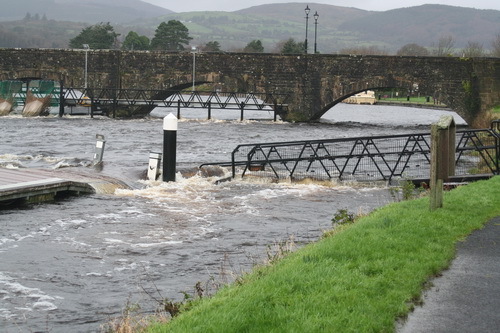 Can it then be matter of surprise that, under such circumstances, Ireland is so much behind hand as she is? 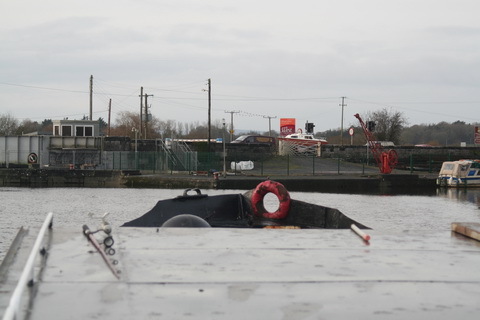 My spies tell me that the RTE television programme Nationwide, to be broadcast on Wednesday 13 May 2015 at 7.00pm, will include some material about the River Suir and perhaps some footage of a former tug-barge, the Knocknagow, that plied thereon. 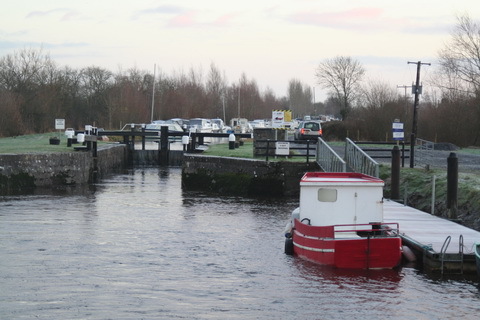 Folk interested in the history of the Shannon Navigation, and in particular in the work of the Shannon Commissioners in the 1840s, may like to get hold of an article “Steam, the Shannon and the Great British breakfast”, published in the Journal of the Railway & Canal Historical Society Vol 38 Part 4 No 222 March 2015. 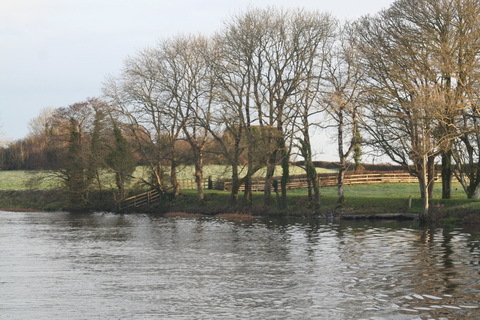 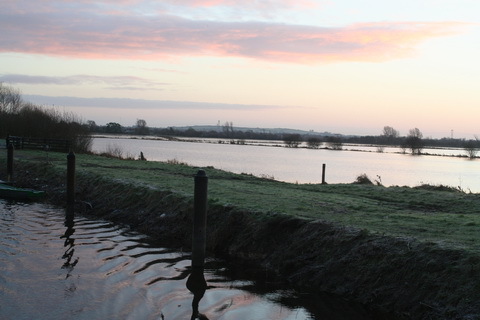 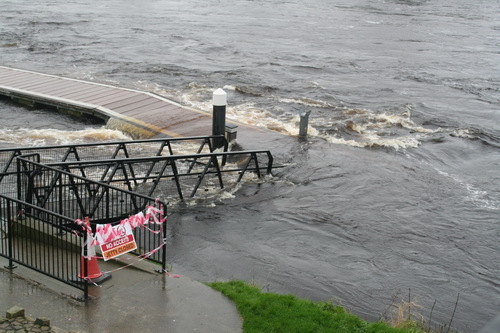 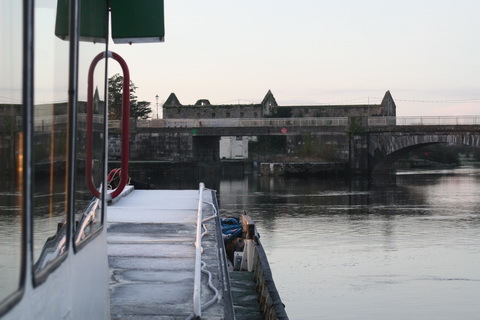 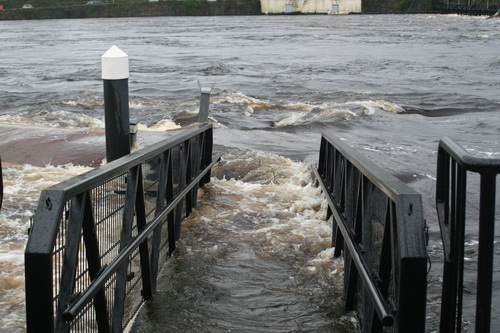 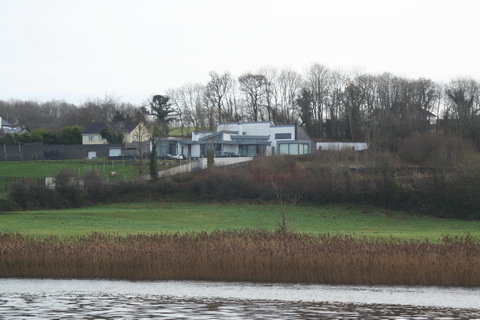 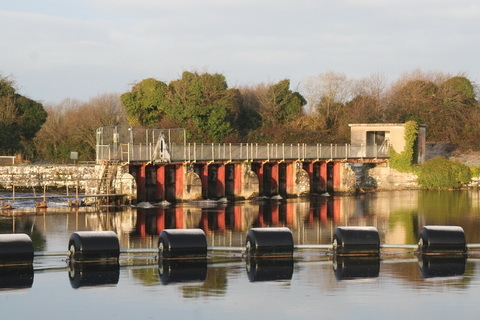 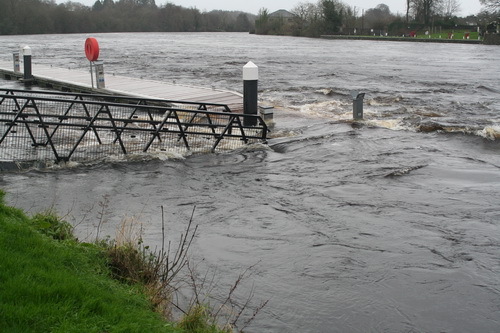 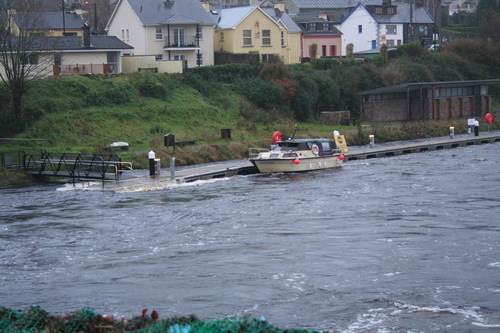 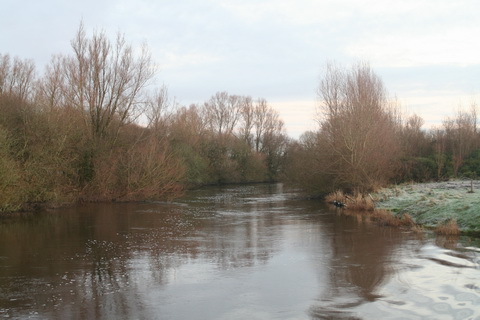 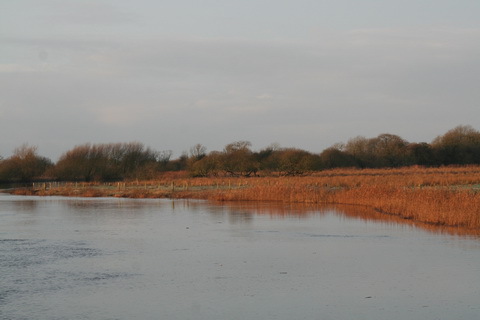 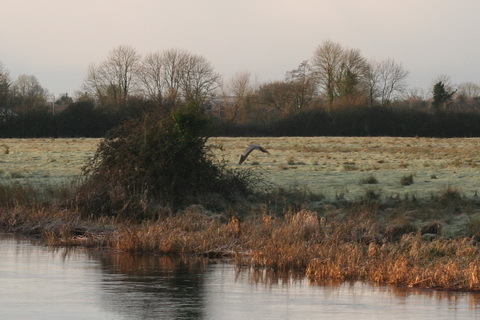 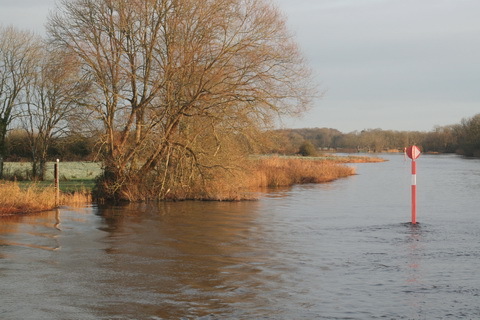 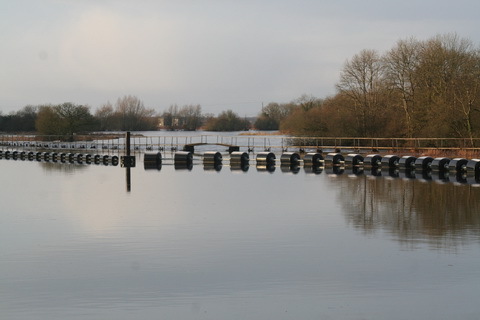 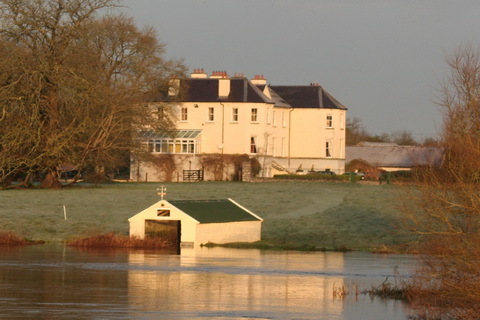 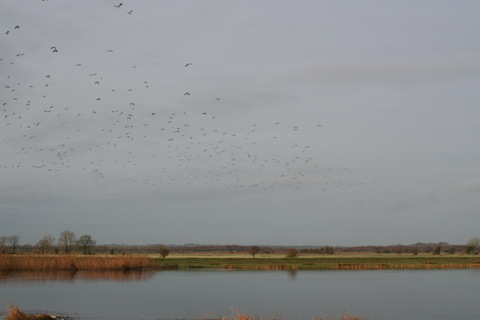 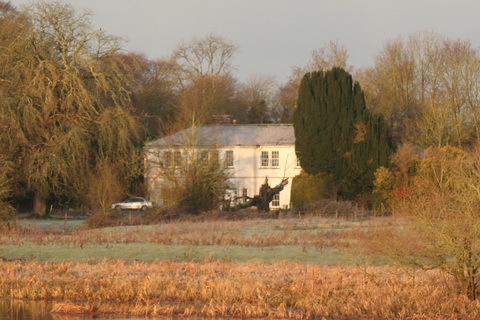 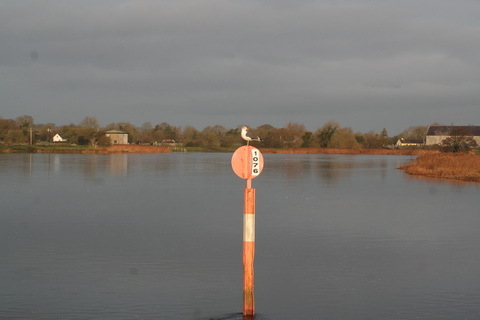 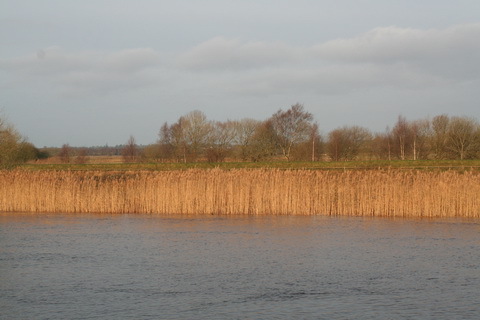 Downriver from Shannon Harbour to Dromineer in December 2014. 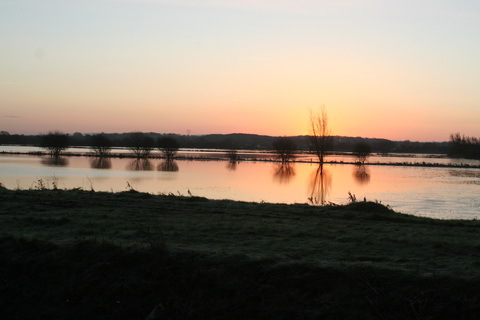 It began as a bright, cold morning. 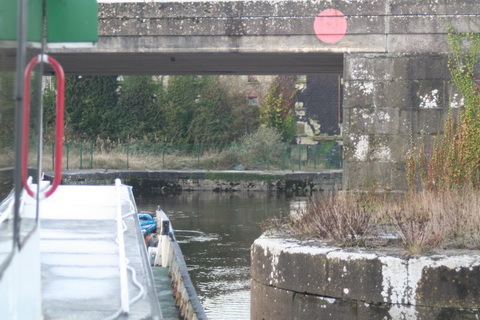 There is a YouTube video of the shooting of the bridge here. 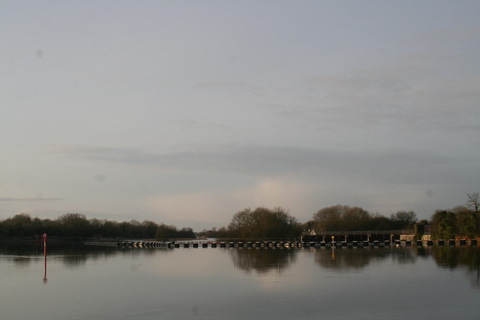 It seems to start automatically, including sound; I don’t know how to avoid that.